Bitcoin: boom, bubble or bust? Andrew Sheng, chief adviser to the China Banking Regulatory Commission. The world is changing faster than we can think. Disruption is constantly chipping away at conventional systems and driving change at a dizzy speed. Begun in 2009, Bitcoin was initially taken up by an elite few with the technical skills to dive and dabble in something so fundamentally disruptive, that it has taken several years for the penny to drop on the wider public. After a somewhat bumpy ride, the price of Bitcoin has risen from 0.0001 USD in 2009 to 1 000 USD in 2013, to over 4,000 USD per BTC as of August 2017. This is like finding that the monopoly game in your cupboard has sudden relevance and value in reality. Fundamentally, all conventional money is a matter of numbers in a computer – numbers that are exchanged across the world and which can be translated into physical paper and coin currency if needs be. However, the need to do that is diminishing, and digital is mostly how we roll. So, introducing virtual or cryptocurrency is not that different in concept. But the beauty of crypto is that it’s personal, and circumvents the established money system. There is no state authority or central bank dictating its credibility or managing its price or quantity. Value lies purely in perception: what people are willing to pay for it. Bitcoin may be bought and sold as a commodity in itself, or used to buy real and virtual goods and services. As there will only ever be 21 million Bitcoin, the value increases as it divides on demand with more and more people buying into the concept. People are beginning to recognise the relevance of Bitcoin: a limited supply (21 million); decentralised; divisible; portable; and relatively (but not entirely) anonymous. It’s essentially a safer, faster and cheaper way to transact. Unlike conventional currency, Bitcoin is not regulated by any singular authority, and so any fluctuation in value is determined purely by market demand. Cryptocurrencies are also nigh impossible to counterfeit, protected as they are by an extremely complicated code system that encrypts each transfer, ensuring the highest level of security to every user. Identity theft is essentially impossible with cryptocurrency. It offers an alternative store of wealth, offering portfolio diversification. Bitcoin is really no more than a digital file that lists transactions – the buying, selling or trading of Bitcoins. Transactions made in a set period of time, usually every 10 minutes, are collected in a list called a ‘block’. As each new block is made, so the block-chain is formed. More Bitcoins are created through a complicated process called ‘mining’. Using open-source software, miners validate transactions by engaging in complex mathematical calculations, thereby creating more Bitcoins. This requires expensive and specialised processing equipment – and miners need to be compensated for this, along with the time and effort they are putting in to make this network stable and progressive. So, every time a miner solves a complex calculation, thus validating a block of transactions, the successful miner is awarded 25 bitcoins. All new bitcoin thus created, acts as a reward and incentive system for more people to contribute their computers to the system to help process transactions. Every four years, this reward is halved so that the total number of bitcoins will never exceed 21 million. Cryptocurrency is simultaneously a currency, an investment and a technology. As a currency it has purchasing power; as an investment it has the potential to grow in value as the demand grows; as a technology it has immense potential to be taken up by traditional banking and other industries, and used to create or operate a host of services. To set up a Bitcoin account is relatively simple. There are several sites to choose from and it’s best to get recommendations from someone experienced. If you’re not earning Bitcoins by mining, then (somewhat ironically) buying them with conventional money remains the alternative option. For South Africans, https://www.luno.com is a site you could investigate. It operates as a traditional exchange where conventional currency can be converted into bitcoins. Step one: sign up for an account on the Bitcoin exchange site (or whichever you prefer: Ethereum, Litecoin or Ripple, etc). Step seven: if you want to convert any of your Bitcoin hoard back into conventional money, you simply load your own bank details as a beneficiary on your exchange account, press the withdrawal button, and the value of your bitcoins will be transferred to your account in Rands. Buying Bitcoin is not strictly anonymous as there are ways to track transactions, the most common being that you are Fica’d with your exchange. Also, most exchanges have a relationship with the tax authority of the country they are registered in, and are obliged, similarly to banks, to supply data related to trades and profits. In addition, if you make purchases you will have to reveal yourself as being related to the originating wallet identity for delivery/collection purposes. Despite largely anonymous interactions, it would not be that easy to get up to anything illegal. While costs are low, much lower than conventional banking fees, there are still fees. The exchange charges fees to buy and sell – mostly around 0.1% – and you must include a miner fee in any transaction to encourage the miners to pick up your transaction. This can range from as little as 0.0001 BTC up to 0.1 BTC if you want a really fast transaction time. Governance: Simply put, there is none. There is an open forum of accounting records to make sure the books balance, overseen by public participants and computer programmers. There should be wariness. Can this system be hacked? Is ultimate security really possible? It’s maybe still too early to tell. Collusion: Transactions are verified by the Bitcoin community. Is there a possibility they could collude to manipulate the book of record? We would be dealing with a different set of risks to the current monetary system, and we are still feeling our way. Choice: Which of the 900 virtual currencies will exist in future? 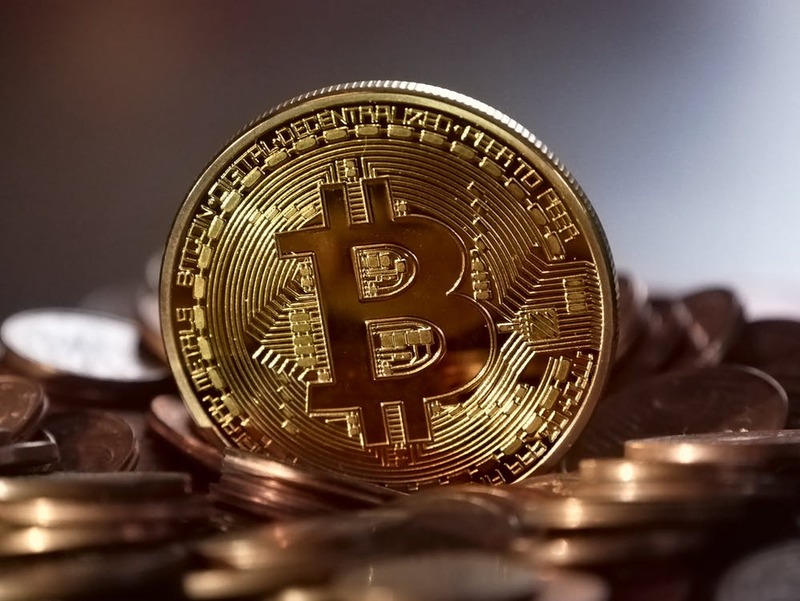 Even though Bitcoin was the initial cryptocurrency, newer versions, more advanced perhaps, could potentially supersede Bitcoin to become the dominant currency. Unlike the solid, finite commodity of gold, there is an infinite supply of cryptocurrencies. As an investment: There is no interest earned on Bitcoins, but crypto-fans could argue that, in addition to gold, these currencies would preserve or escalate in value if the world’s financial systems spiralled downwards – unlikely but not impossible, and something we should always keep back of mind when managing our investment portfolios. There is a tenuous balance between speculation and sound venture. There are always risks – some greater than others. Bitcoin is simply another choice, an extra hand to play. Whether you choose this route is dependent on perception, your sense of adventure, and how much you are prepared to lose. Always avail yourself of as much information as possible before committing any substantial sums into cryptocurrencies which, like any apparently ‘get rich quick’ scheme, may boom or go bust. As ever, we advise tempering curiosity with caution.